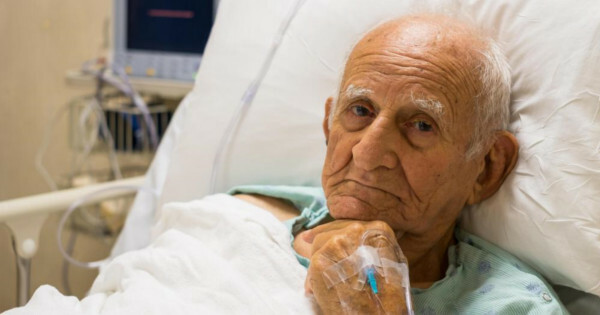 Boston | A Catholic priest from Massachusetts was officially dead for more than 48 minutes before medics were able to miraculously re-start his heart. During that time, Father John Micheal O’Neal claims he went to heaven and met God, which he describes as a warm and comforting motherly figure. The 71-year old cleric was rushed to the hospital on January 29 after a major heart attack but was declared clinically dead soon after his arrival. With the aid of a high-tech machine called LUCAS 2, that kept the blood flowing to his brain, doctors at Massachusetts General Hospital managed to unblock vital arteries and return his heart to a normal rhythm. The doctors were afraid he would have suffered some brain damage from the incident, but he woke up less than 48 hours later and seems to have perfectly recovered. Doctors at the Massachusetts General Hospital say that Father O’Neal is extremely lucky to be alive, while he is convinced that it is God who sent him back to tell the world who “she” really is. The elderly man claims that he has clear and vivid memories of what happened to him while he was dead. He describes a strange out-of-body experience, experiencing an intense feeling of unconditional love and acceptance, as well as being surrounded by an overwhelming light. He claims that at that point in his experience, he went to heaven and encountered God, which he describes as a feminine, mother-like “Being of Light”. The declarations of the cleric caused quite a stir in the Catholic clergy of the archdiocese over the last few days, causing the Archbishop to summon a press conference to try and calm the rumors. The Archbishop of Boston, Cardinal Sean P. O’Malley, made a public statement this morning stating that Father O’neal suffered hallucinations linked to a near-death experience and that God clearly isn’t a female. Despite the disapproval of his superiors, Father O’Neal says that he will continue dedicating his life to God and spread the word of the “Holy Mother”. The Roman Catholic Archdiocese of Boston has not confirmed, however, if they will allow Father O’Neal to resume his preaching in his former parish in South Boston. 4 Comments on "Catholic Priest Who Died for 48 Minutes Claims That God Is A Woman"
GALATIANS 4:26-But the Jerusalem that is above is free and she is our Mother. God is a spirit and not a woman.That priest was just dreaming while in a comma. All were just hyprocrite in representing religion of their choice. God cannot be a women already can tell,what they preaching were bias. You may embrace as you feel.